Dr. Jennifer Ohsie graduated from Pacific Union College with a Bachelor of Science degree in Biology. In 2005, she earned her doctoral degree from Loma Linda University School of Dentistry. Dr. Ohsie was active in organized dentistry during her four years in dental school, serving as the Co-Chair of the University’s Professional Organizations Committee and as the California Dental Association (CDA) Student Representative for her class. She was appointed by the president of CDA to serve as a member of the 2004 Task Force on Licensure as well. Also in 2004, Dr. Ohsie and her research group were awarded top honors in her school’s Table Clinic Competition for their clinical research on esthetic dentistry. 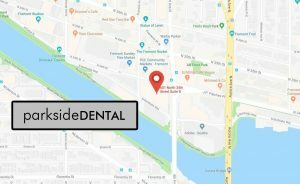 Dr. Ohsie has kept up to date on many continuing educational classes, ensuring that her patients receive the most comprehensive and advanced dental care. Dr. Ohsie enjoys participating in community outreach programs and has served on dental mission trips to both St. Barbara and Helene, Honduras. She has also provided dental care to elementary students in Ocho Rios, Jamaica. In her free time, Dr. Ohsie enjoys spending time with her husband and family, running, and overindulging her two giant cats.